For all who have been grinding on Apex Legends since it released in February, you are about to finally have something else to do than just survive. 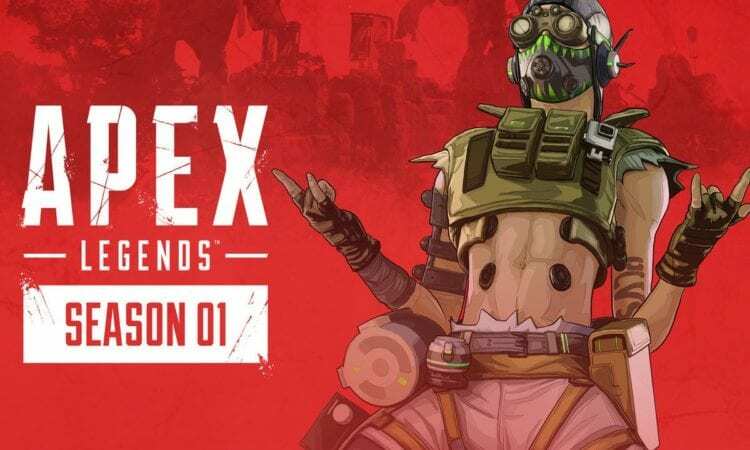 Apex Legends is starting it’s very first season of content tomorrow, entitled Wild Frontier. While games like Fortnite and Rocket League have been doing seasons and Battle Passes for quite some time, Apex Legends has the opportunity to do something a bit unique considering they borrow the Overwatch model of special characters (known in Apex Legends as “legends”). The update promises to bring a new legend, Octane, to the table starting with the new season. The character seems to be an interesting addition, given the balance of adding speed at the cost of health, but also having unlimited stim packs to get you back to normal. The launch pad ability can also be a big assest in helping your team have extra seconds to loot areas farther from the circle, then utilize Octane to get inland quickly. Another thing we do not know is how the Battle Pass works. Is it going to be a weekly challenge list like Fortnite? Will it be random? Will it just be trying your best to do well in matches to earn XP which will give you rewards? Again, we will find out tomorrow, but we do know you will be able to earn everything only during the season and the Battle Pass is retroactive (if you buy it later you still get credit for the levels you earned without it). The “Apex Pass” will be available starting tomorrow for 950 Apex Coins, or $9.50, so go grab a $10 PSN or Xbox currency card. If you want to start out 25 levels higher on the Battle Pass, there will be a bundle option for 2800 Apex coins or $28.